It’s been a long day and all you ask for is a cute place to come home to, where you can sink into your cushions and exhale your favorite scent– because it’s all about you once you’re done with school or work! 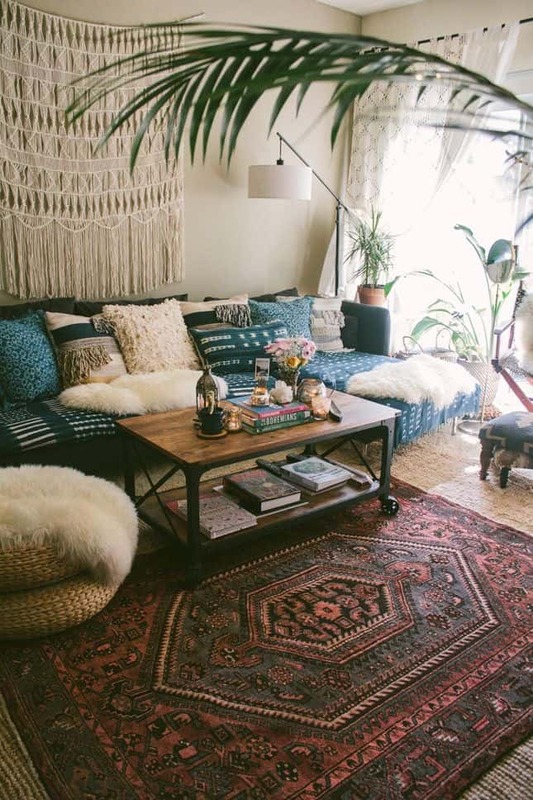 Here’s 17 boho decorating ideas to inspire you with your own cozy home bohemian decor. When you walk in the door what are the first objects you’re drawn to? What makes your living area so desirable? Why do you look so forward to going back to bed as soon as you wake up? Is it your bed that’s so cozy, how the room is lit, or the signature smell of your home that tells you you’re home? All these details are what make it home sweet home and why you can’t wait to come back to it. 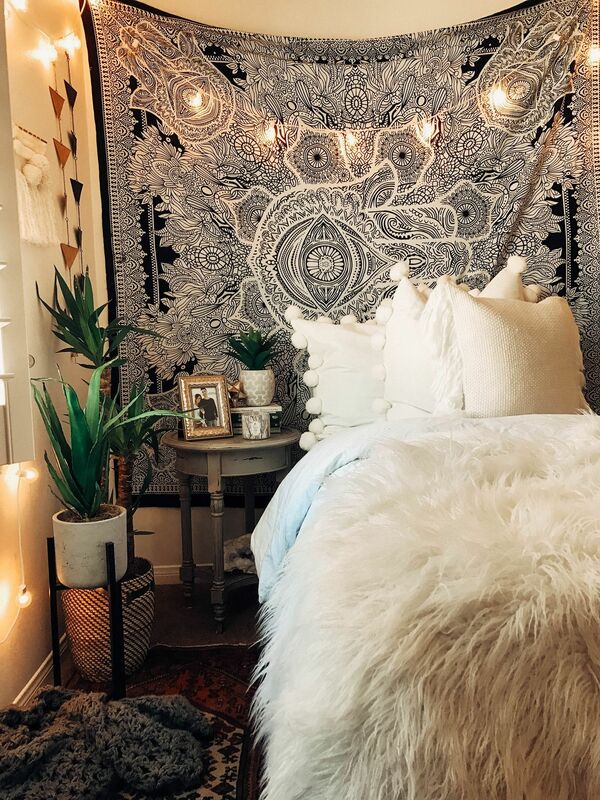 You walk to the bedroom, lights are draped around the room, running across the tapestry that hides behind the bed, a throw blanket to cuddle in, and a few candles in easy access for those homey vibes. Make your room a place that represents who you are, where you like to spend your time, and why you spend time there. No one else will understand you as much as your home, take advantage of the space you own, add accents and ways to flatter your area. Having a large bed or an old, vintage dresser gives potential, but the wall accessories, bed toppings and pops of color is what creates the space you’ll never want to leave. 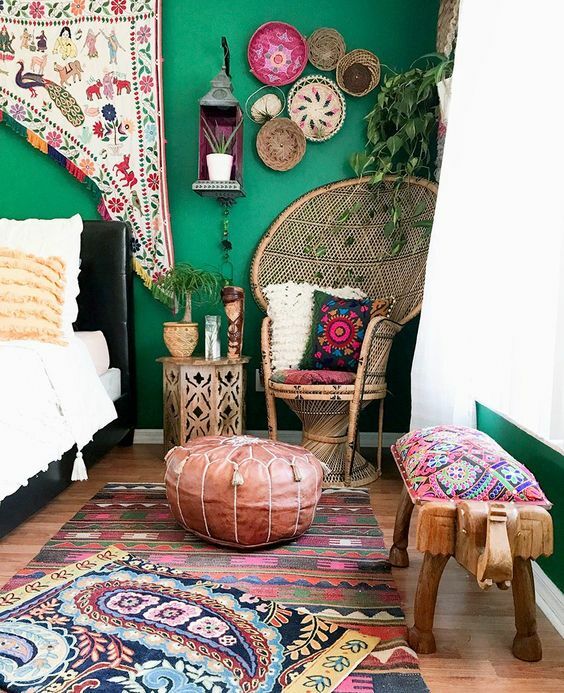 Let me share some of my favorite, go-to boho decorating ideas for your living space that will give you the perfect, comforting, bohemian look you’ll be proud to call home. 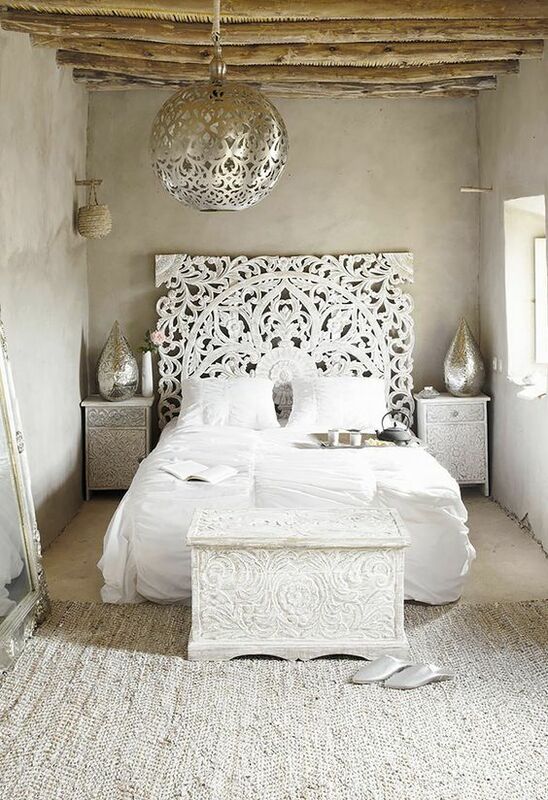 Nothing makes bed more welcoming and a want to lay on than mix and matching pillows of different texture and design. 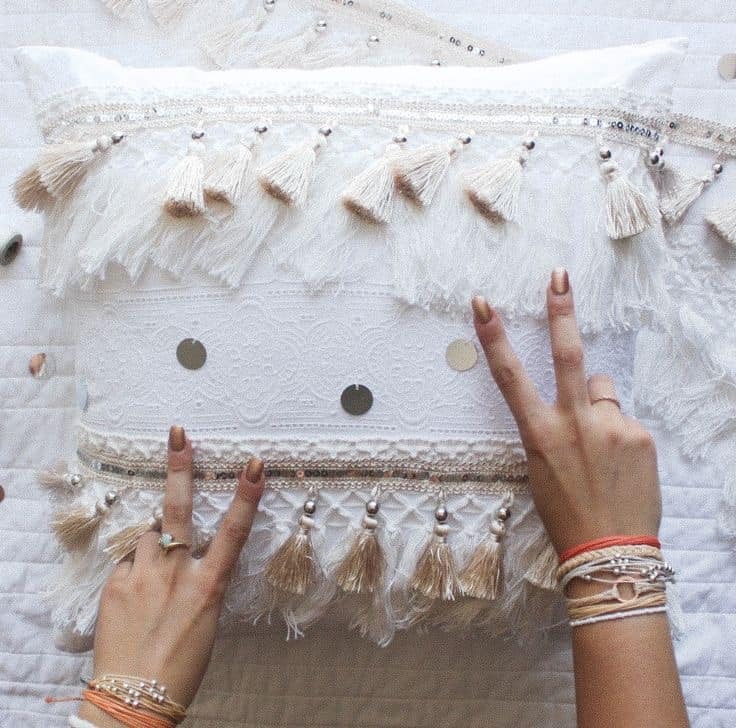 Have a passion for your pillows and make it you! 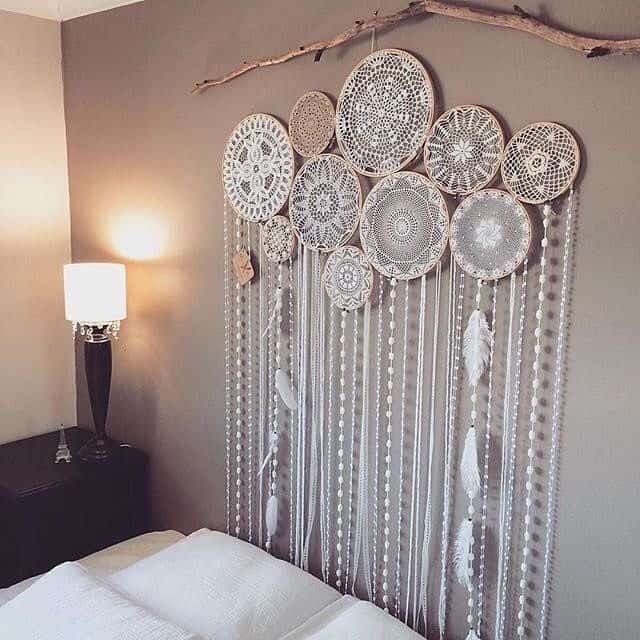 A funky wall piece, easily a DIY project, that is multi-purpose and can be hung from different areas gives you that unique boho feel. Add some feathers, a variety of strands, or a pop of color! 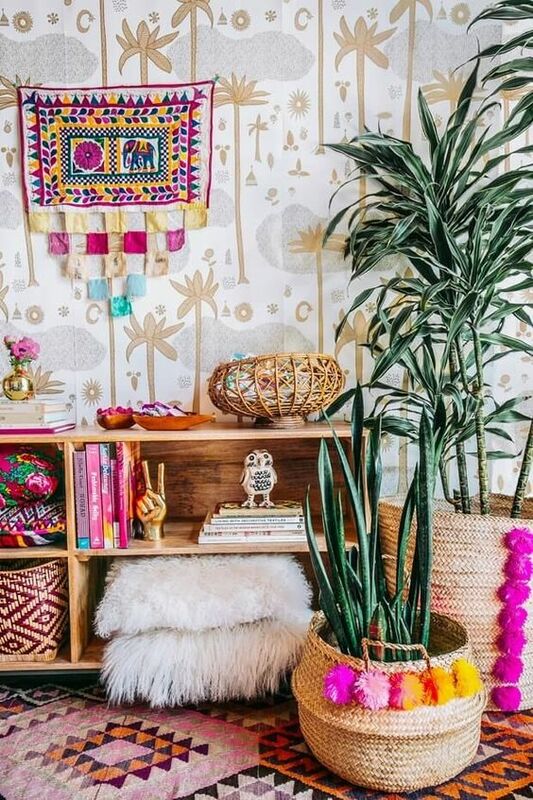 If DIY isn’t your thing, there’s many stores where you can buy macrame and crafty wall hangings. My roomie just found one on clearance for $4 at Ross! Provide plenty of more seating to fill up the floor in a comfy way, without needing a chair. This helps to pronounce the vibe of your living area! Don’t have a closet but need to organize your clothes, accessories and shoes? Create a cute little station you can easily access and see your belongings even better. Why walk on a bare floor when you could place a cozy rug in the middle of your room and already have good vibes going. Another fun craft project for styling your wall that adds character and a relaxed feel. 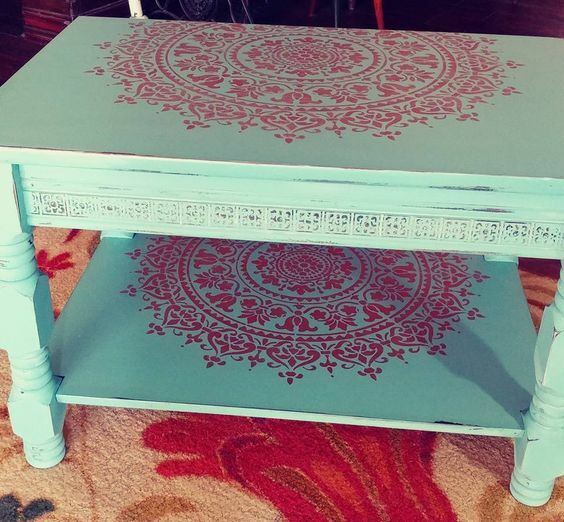 This can be designed with simple colors or help to sparkle and spice up the room! 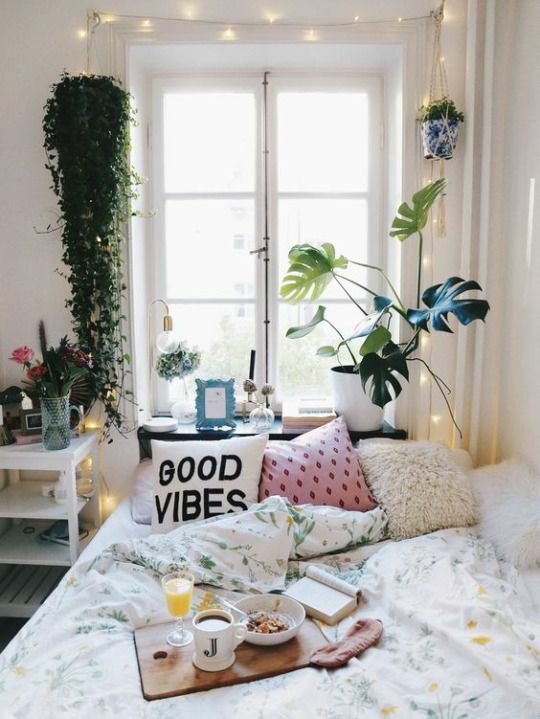 How else can you make a room feel more cozy, warm and smell good? Have that favorite ambulance arousing in the room to create a signature smell and more light. 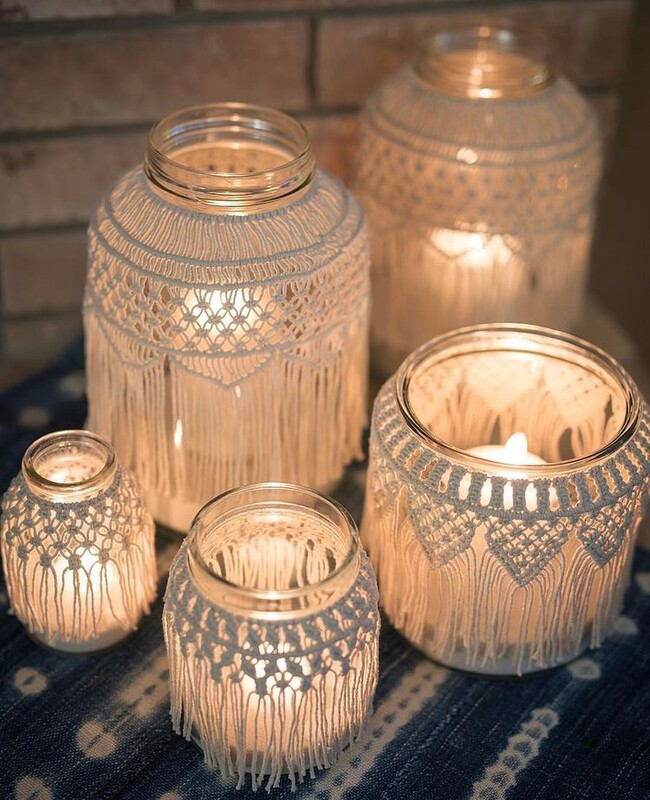 Group multiple candles together for an even more dreamy feel! 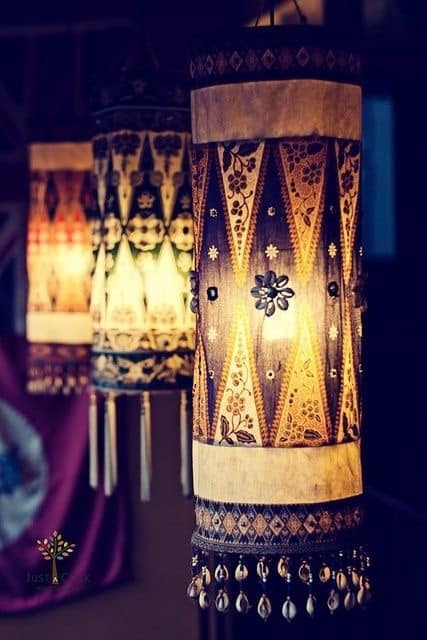 Lights by the nightstand don’t emulate the only artsy vibe, string some lanterns that accentuate each other. Yes, a piece of furniture such as a chair will always take up space but also adds value and style to the area. It doesn’t need to be a fancy chair to bring out the funk in the room, the chair will speak for itself! What’s more important than having a large mirror to place on the side? You can never have a mirror that’s too big. 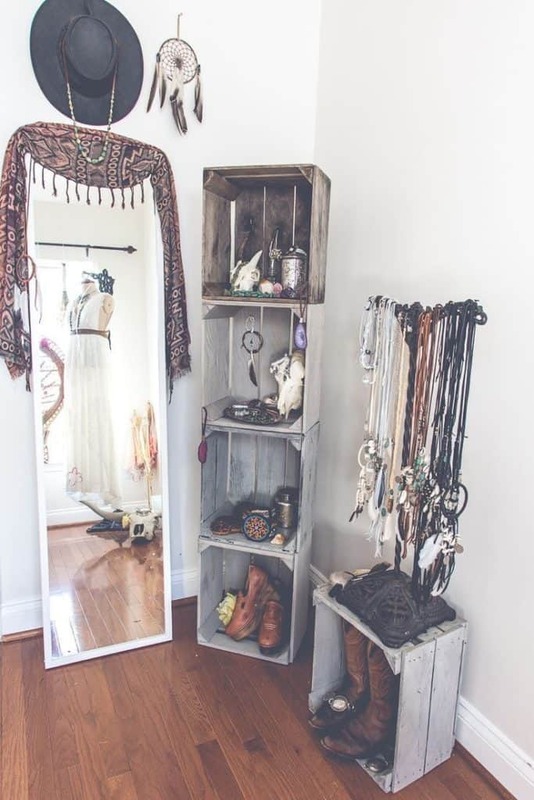 It’s not just seeing yourself from any angle of the room now but also a decoration to emphasis your space. Feel like a Bohemian princess with this elegant structure behind your head. A way to give you privacy but at the same time window and object accents that can contribute to the vibe of the room. 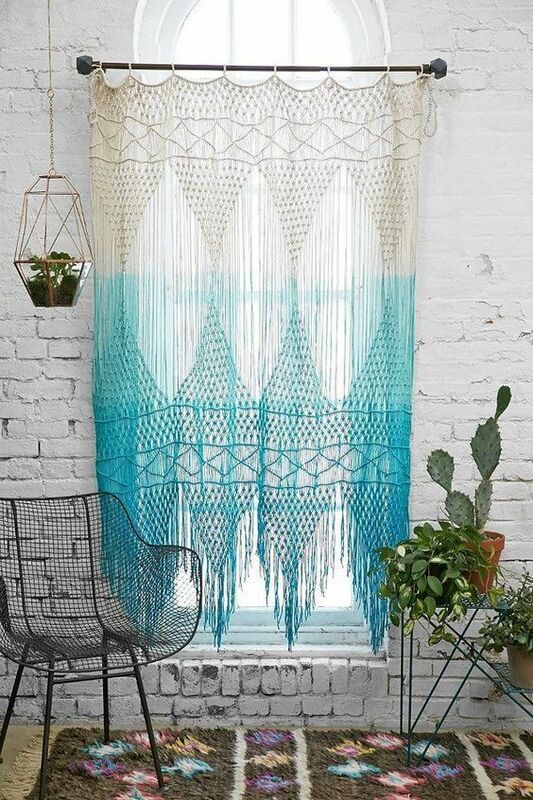 Drape a curtain in a different way than you’re used to for more character! Tapestries are the way to take up space and decorate for many uses! Tapestries solve everything and look good everywhere. For a more Bohemian, nature feel assort plants that hang over and compliment each other. 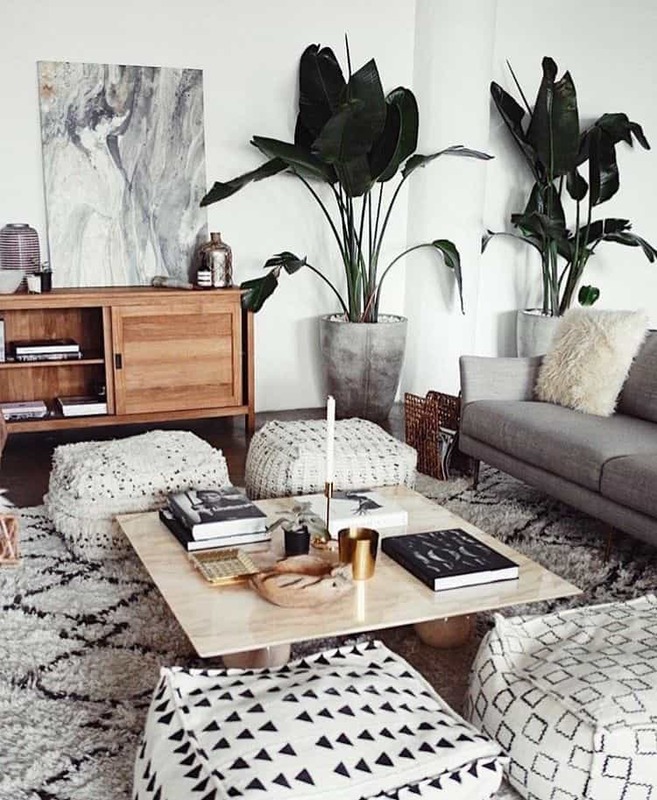 Indoor plants are one of the cutest, natural, decorations you can own! It’s not just a room, it’s an environment– it’s your habitat. 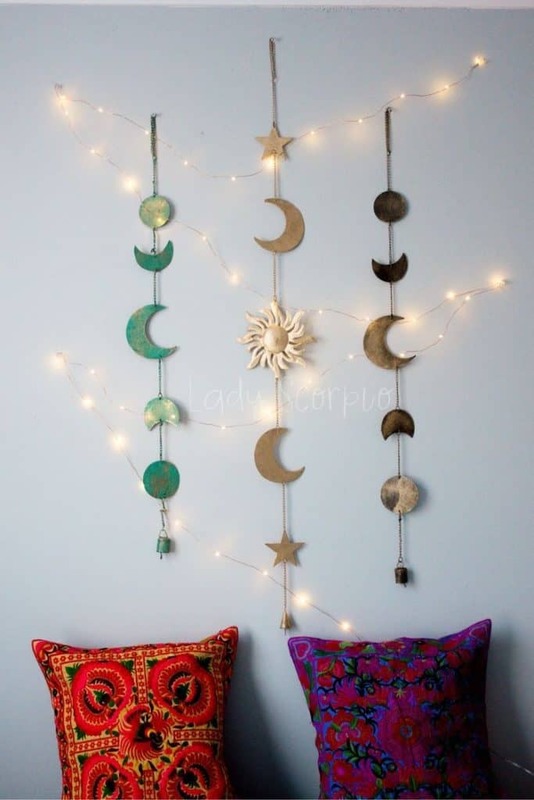 Cute wall accessories have so much to say about the image of a room, they complete the theme and can blend so well with what else is going on. Every wall piece adds to the story! 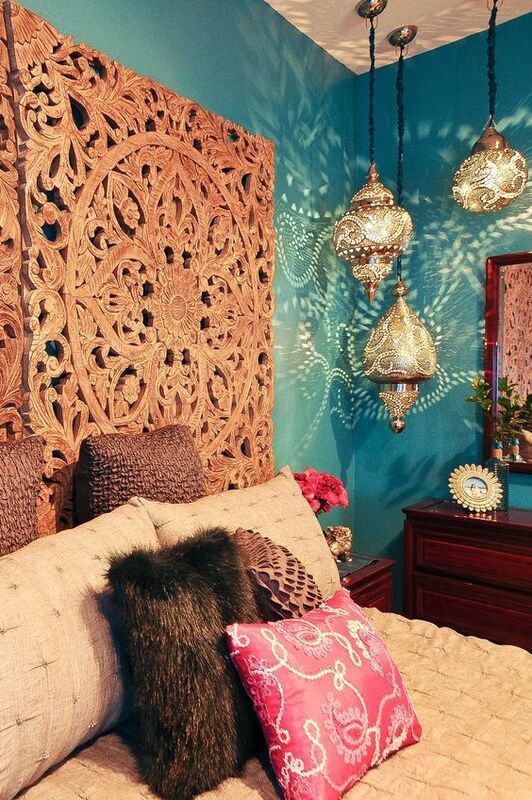 Take any piece of furniture and give an even more feminine and unique look that accentuates the color. The age of the object means nothing when you can style it and make it this cute! 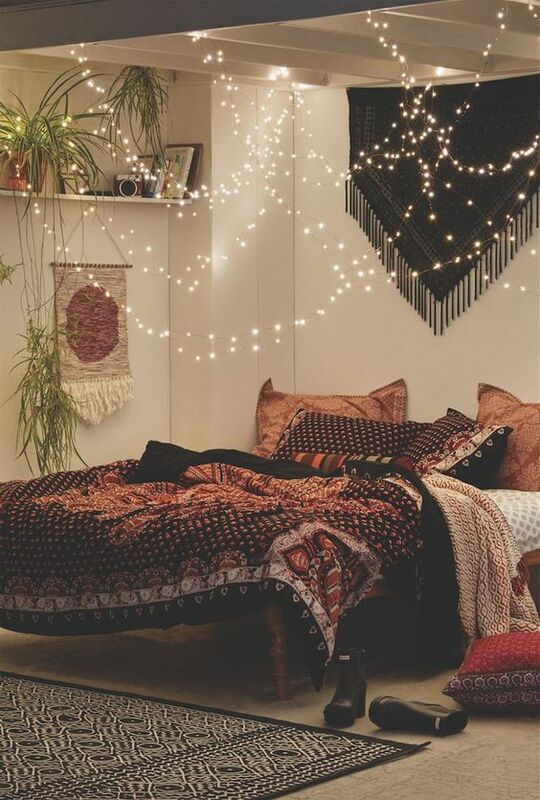 What’s more light without stringing endless strands of lights across the room and giving the full boho vibe. Having too many lights isn’t a thing, light ‘er up! Thanks for sharing the amazing idea all the pictures are beautiful and each one is unique in its category. 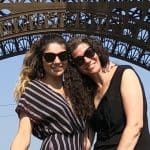 Very beautiful blog. 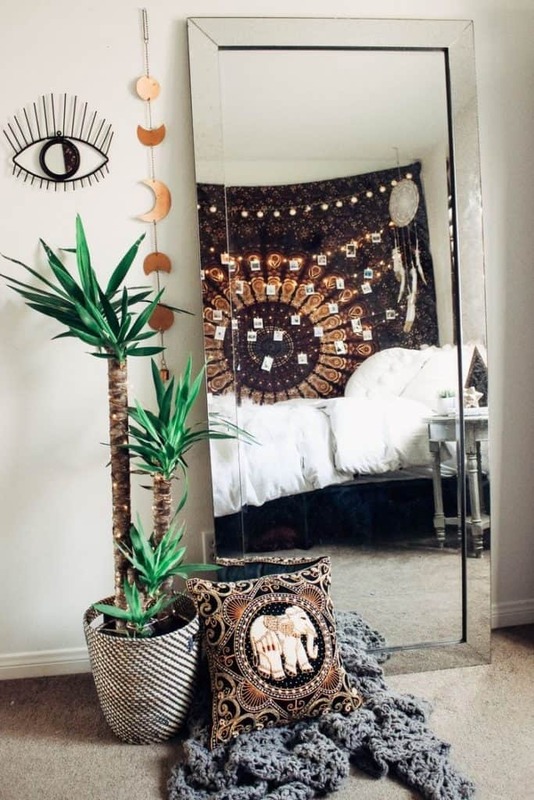 That tapestry reflecting from oversized mirror looks so beautiful. Can you suggest where can I buy one? Work Appreciated. 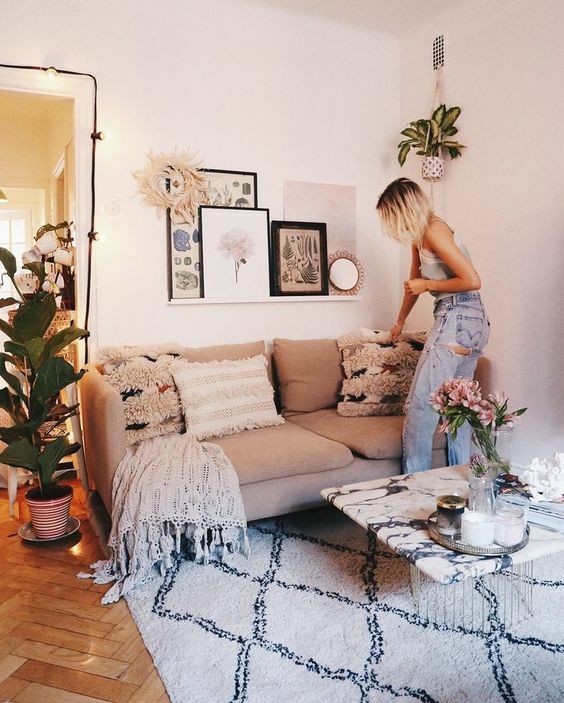 It is difficult to find a good idea to decored a flat but your blog inspired so much.